Do blood-drinking creatures of the night really exist? Award-winning author and researcher Rosemary Ellen Guiley journeys across America and England to answer that question. In these pages you will discover: • The history and folklore of people whose deaths go horribly wrong, turning them into blood-sucking and life-force-draining predators • Interviews with people from all walks of life who believe they are vampires, and who want to become vampires • Living vampires who are regarded as sorcerers and witches who possess great power • The rise of the exotic vampire subculture, which flourishes around the world today Vampires Among Us is a classic in vampire literature. 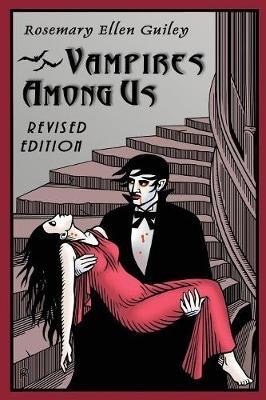 This revised edition includes original and updated material that provides a unique look at the evolution of our beliefs, thoughts, desires, and fears about vampires. Father Sebastiaan, founder of the Sanguinarium, the Sabretooth Clan, and Vampire World, provides a powerful foreword.